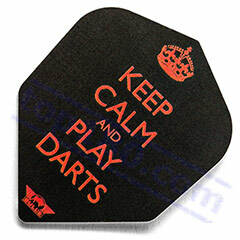 SET 3 ALETTE KEEP CALM AND PLAY DARTS ¦ Darts, dartboards, electronic scoreboards and all darts accessories. Set 3 alette Keep Calm and Play Darts. 100 Micron.